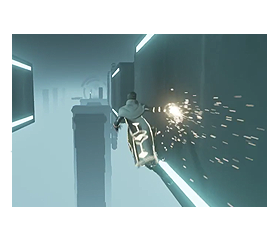 Hoverloop is a splitscreen aracde arena combat game made by alumnus Philippe Mesotten and Lars Driessen, together they form Not A Company. In Hoverloop you have acces to an array of customizable drones, each with it's own unique ability like teleport, deathray or shield. Hoverloop will be available for PC and Xbox one.